This March, getTV has a retro treat for you: a 10-episode series from 1977, "The Fantastic Journey." A precursor to the more recent hit show "Lost," the series focuses on a scientific expedition in the Atlantic Ocean that gets lost in the Bermuda Triangle and washes up on an uncharted island. There, the scientists meet up with travelers from other times, planets and dimensions who, like them, are looking for a way off the island and back to their homes. getTV will air all 10 episodes of "The Fantastic Journey" as part of its weekly "Get Lost in TV" programming over two successive Sunday nights with five episodes each night, beginning March 12 at 12 midnight ET/11 p.m. CT and concluding March 19. So for those of you who aren't night owls, DVR alert. "The Fantastic Journey" stars Jared Martin (Dusty Martin on "Dallas"), Carl Franklin ("The A-Team," now a prolific film and TV director), Ike Eisenmann ("Escape from Witch Mountain") and Roddy McDowall(the original "Planet of the Apes" films), with appearances by such guest stars as Joan Collins("Dynasty"), Cheryl Ladd ("Charlie's Angels"), Ian McShane ("Deadwood"), Gerald McRaney ("Simon and Simon"), Susan Howard ("Dallas"), Nicholas Hammond ("The Sound of Music"), Lew Ayres (Oscar®nominee for "Johnny Belinda"), Richard Jaeckel (Oscar® nominee for "Sometimes a Great Notion"), Gary Collins ("Hour Magazine"), Mary Ann Mobley (Miss America 1959), Mel Ferrer ("Lili"), John Saxon("Enter the Dragon") and Mary Frann ("Newhart"). The show's producer was Leonard Katzman ("Dallas"), executive producer was Bruce Lansbury ("Buck Rogers in the 25th Century" and yes, Angela's brother) and associate producer was William Cairncross(TV's "Logan's Run"). Preceding "The Fantastic Journey" on March 12 at 11 p.m. ET/10C is an episode of "The Merv Griffin Show"from 1980 featuring a very early appearance of the new wave band Devo, singing their hit "Whip It." On March 19, getTV's evening movie at 8:40 p.m. ET/7:40C is the 2000 sci-fi thriller "The 6th Day" starring Arnold Schwarzenegger, followed at 11 p.m. ET/10C by a 1982 "Merv Griffin" episode with the cast of "Star Trek II: The Wrath of Khan." 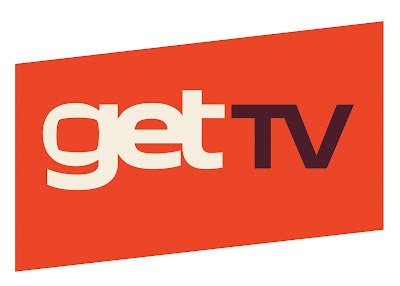 getTV's complete February schedule can be viewed at get.tv.